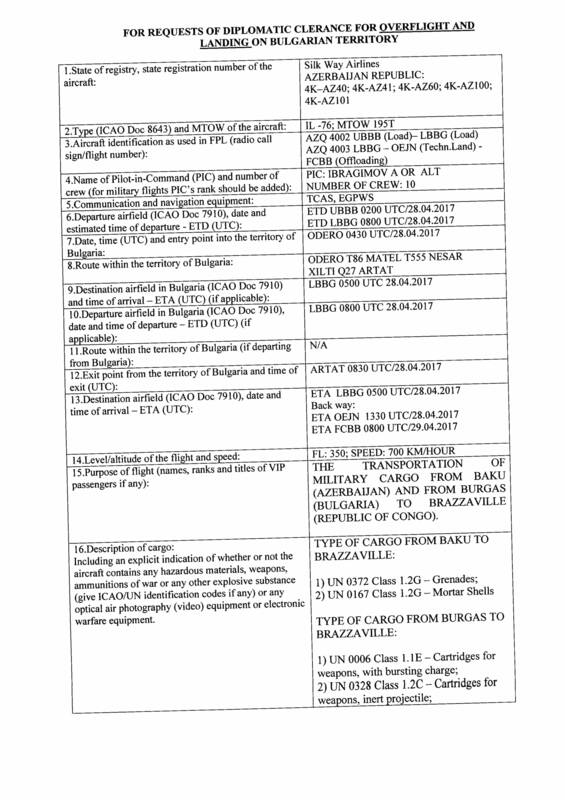 Azerbaijan’s Silk Way Airlines transports weapons with diplomatic clearance for Syria, Iraq, Afghanistan, Pakistan, Congo. At least 350 diplomatic Silk Way Airlines (an Azerbaijani state-run company) flights transported weapons for war conflicts across the world over the last 3 years. 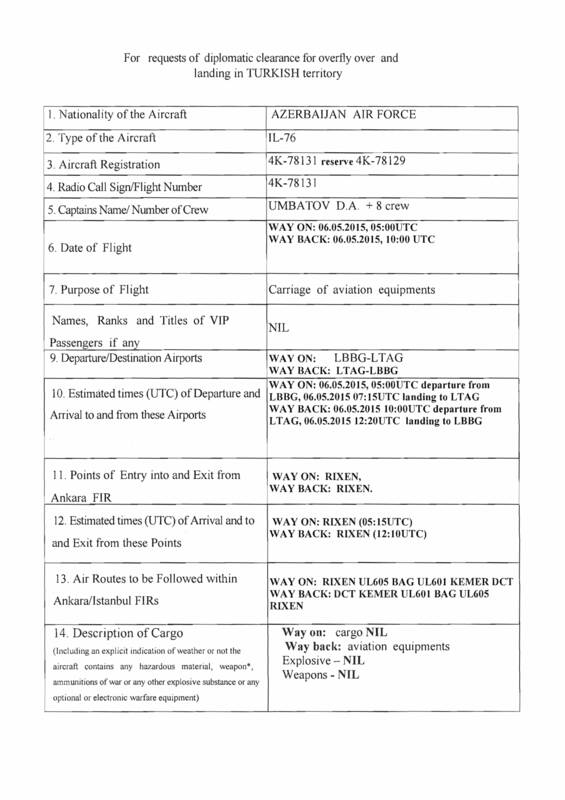 The state aircrafts of Azerbaijan carried on-board tens of tons of heavy weapons and ammunition headed to terrorists under the cover of diplomatic flights. 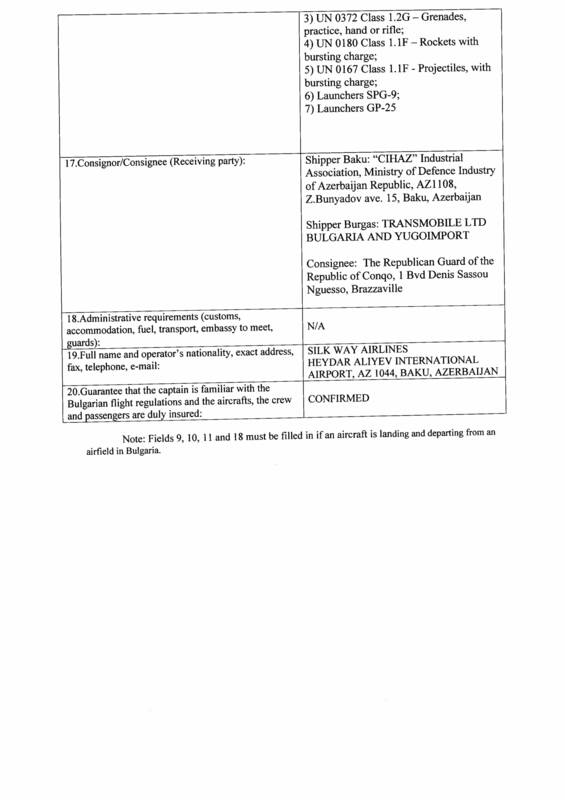 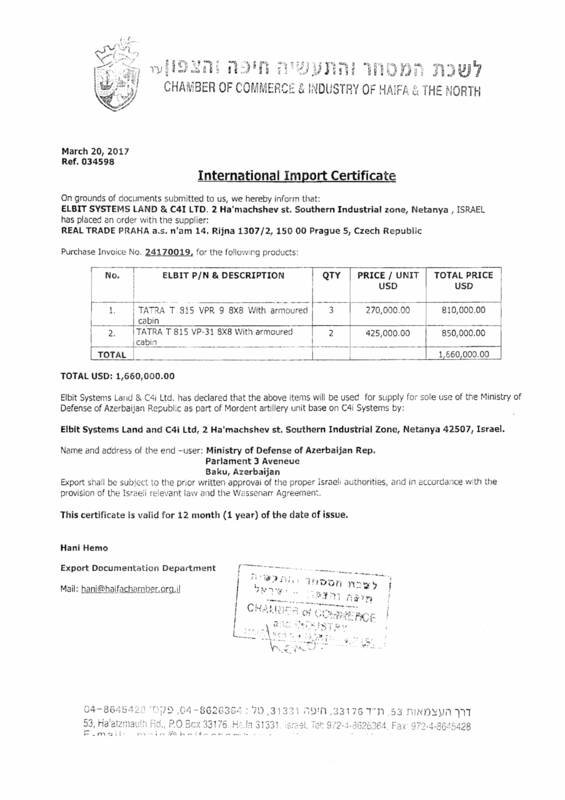 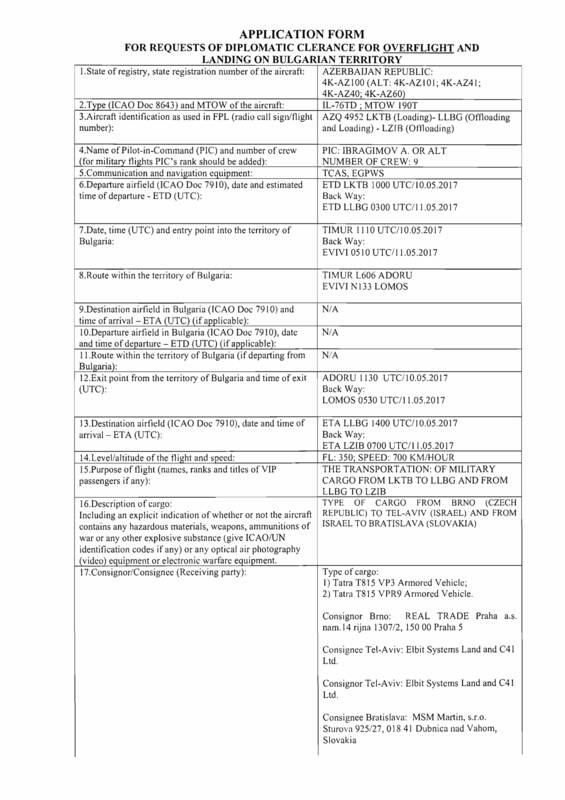 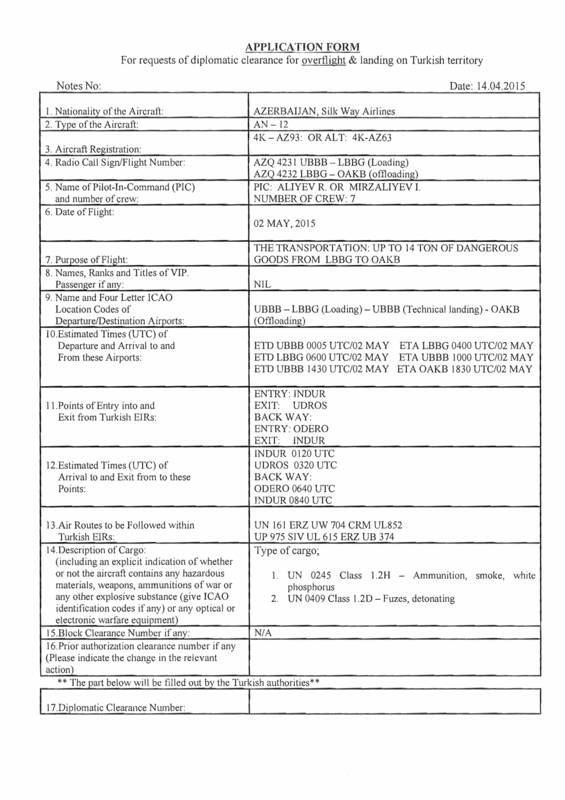 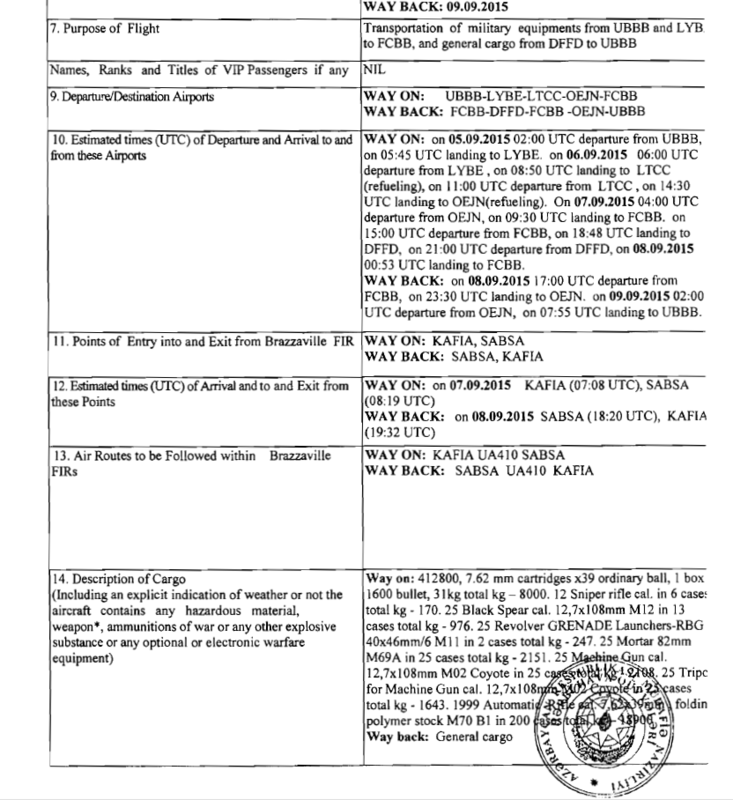 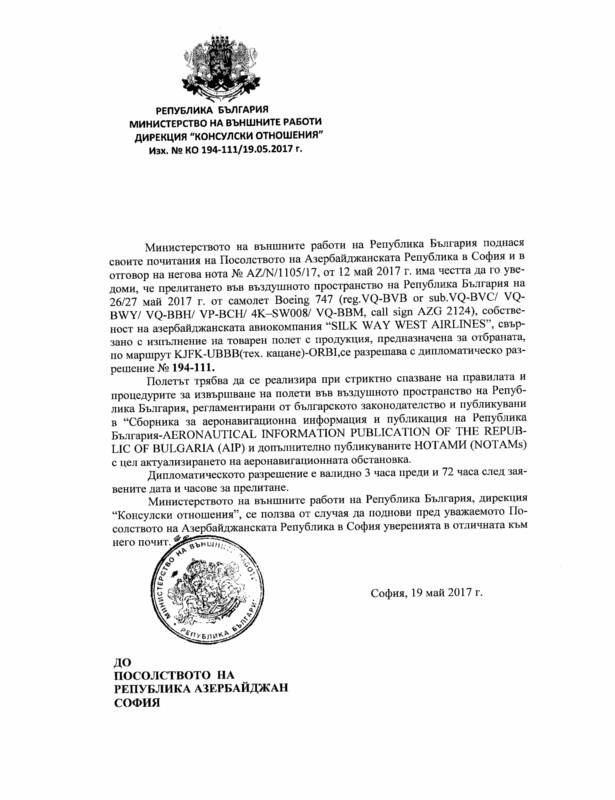 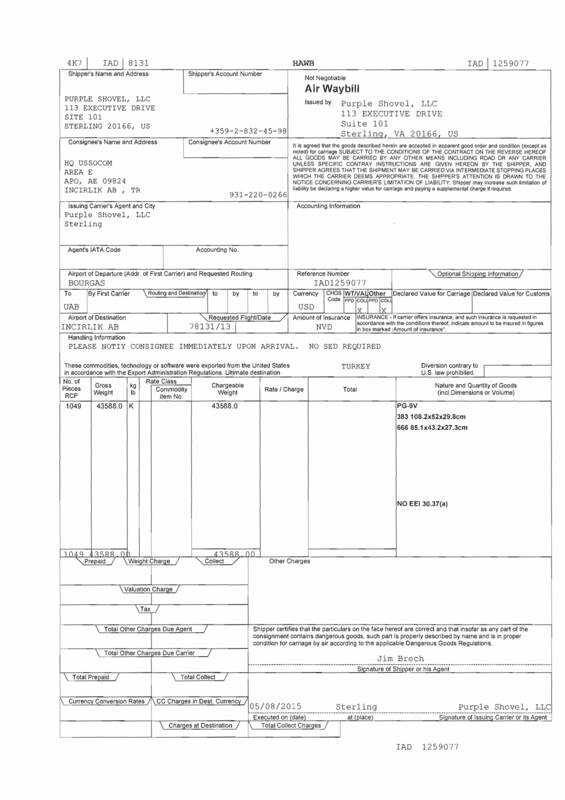 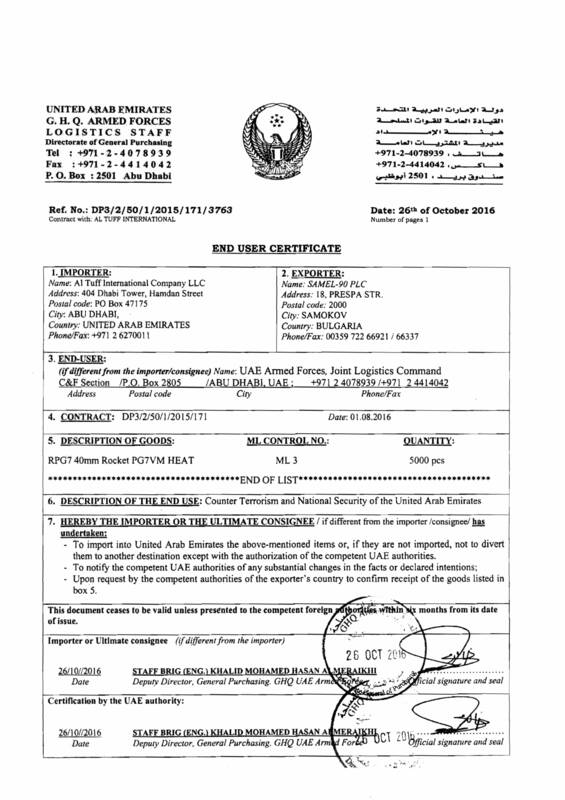 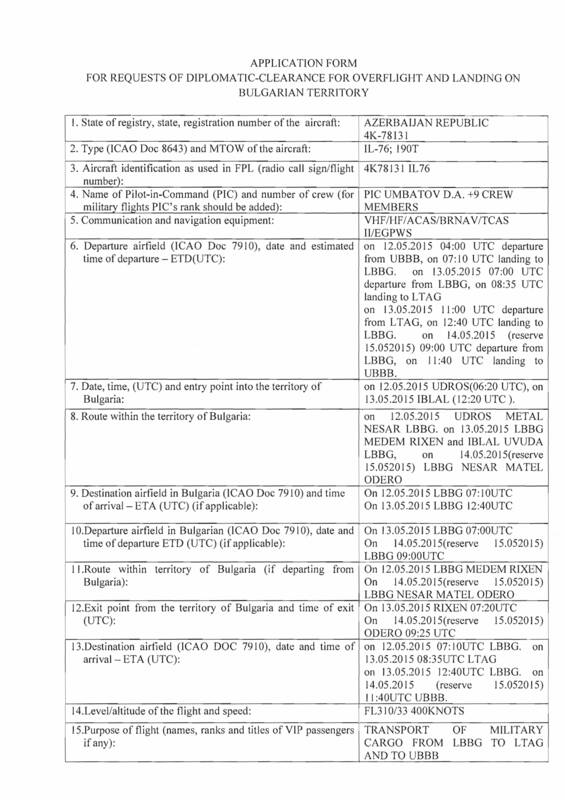 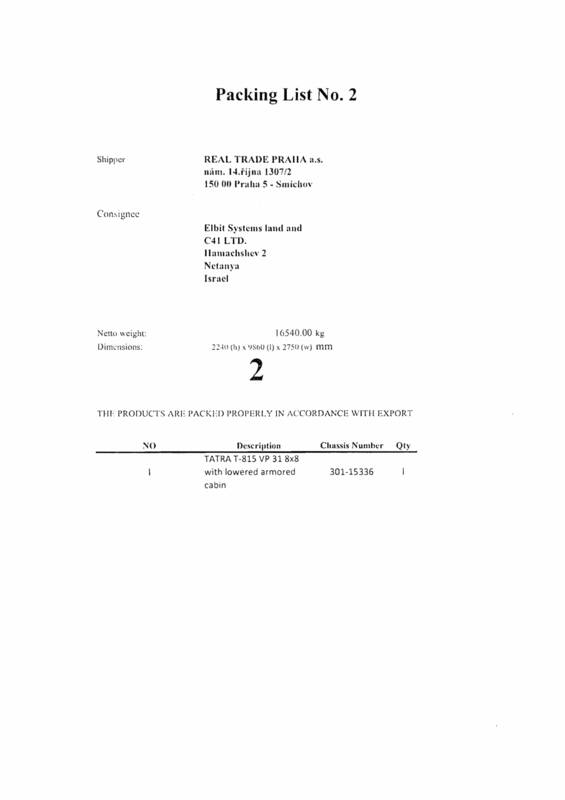 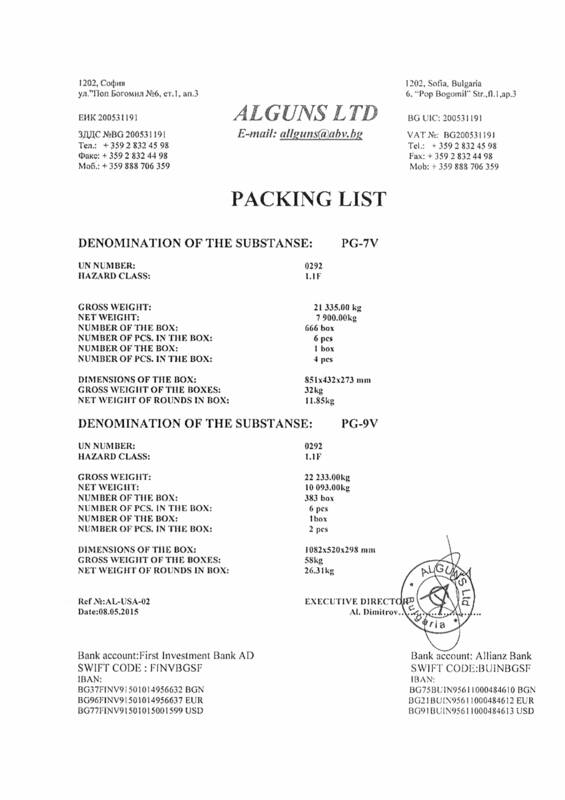 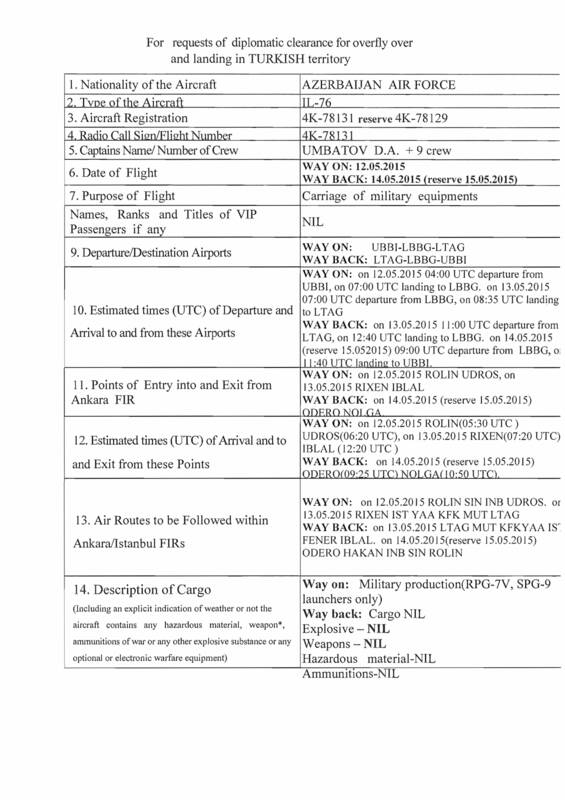 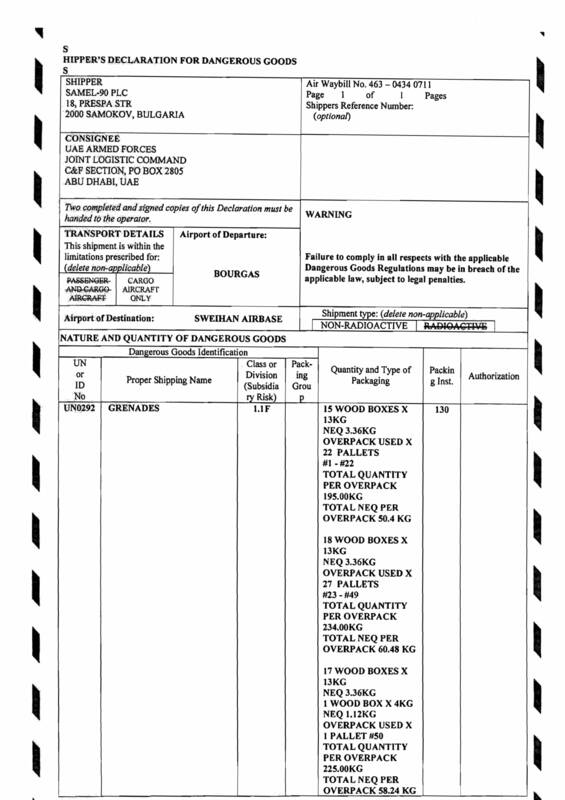 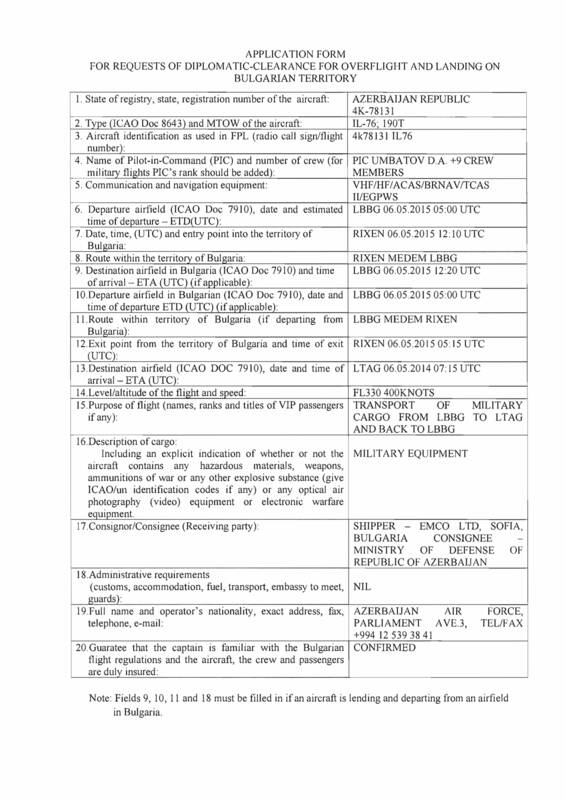 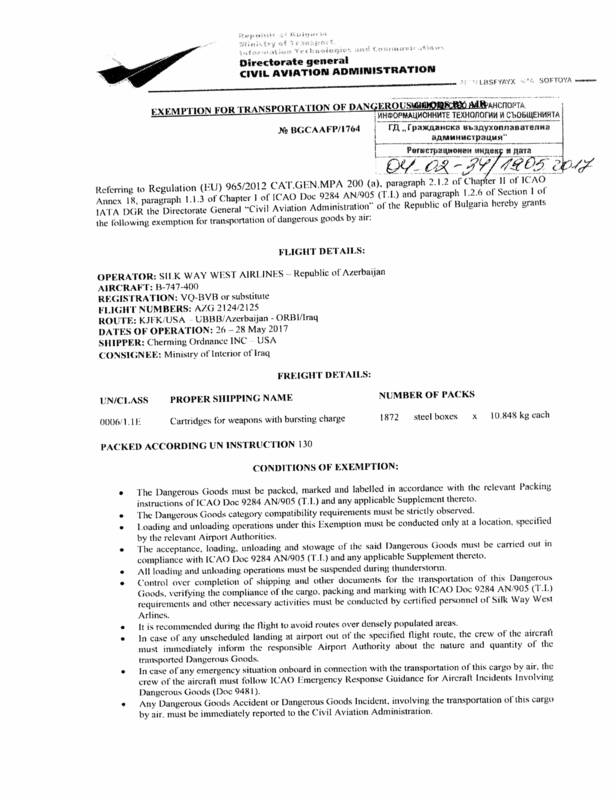 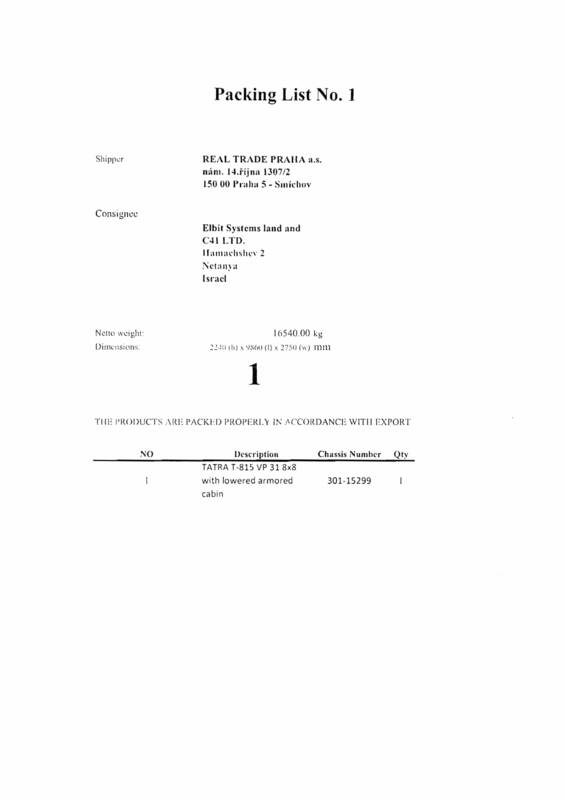 Documents implicating Silk Way Airlines in arms supplies were sent to me by an anonymous twitter account – Anonymous Bulgaria. 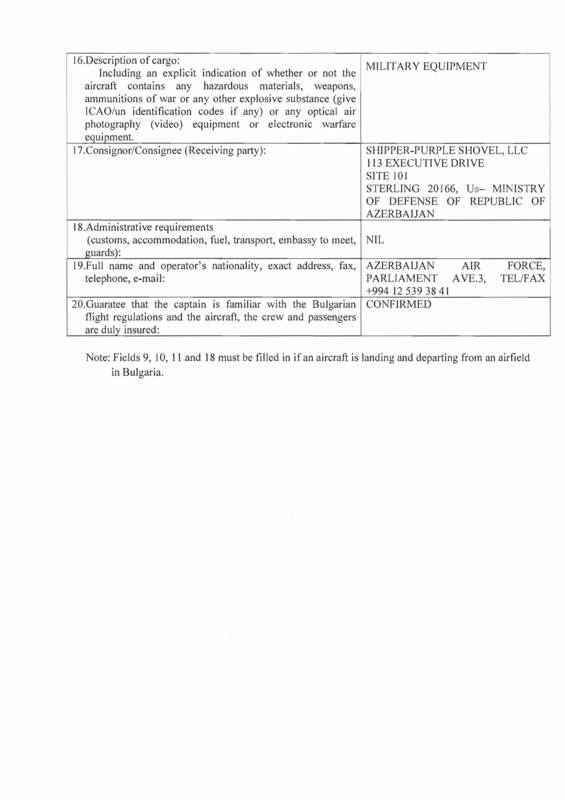 On 6th June 2015, a 41-year old American national Francis Norvello, an employee of Purple Shovel, was killed in a blast when a rocket-propelled grenade malfunctioned at a military range near the village of Anevo in Bulgaria. 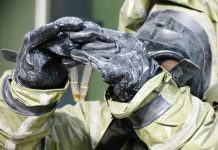 Two other Americans and two Bulgarians were also injured. 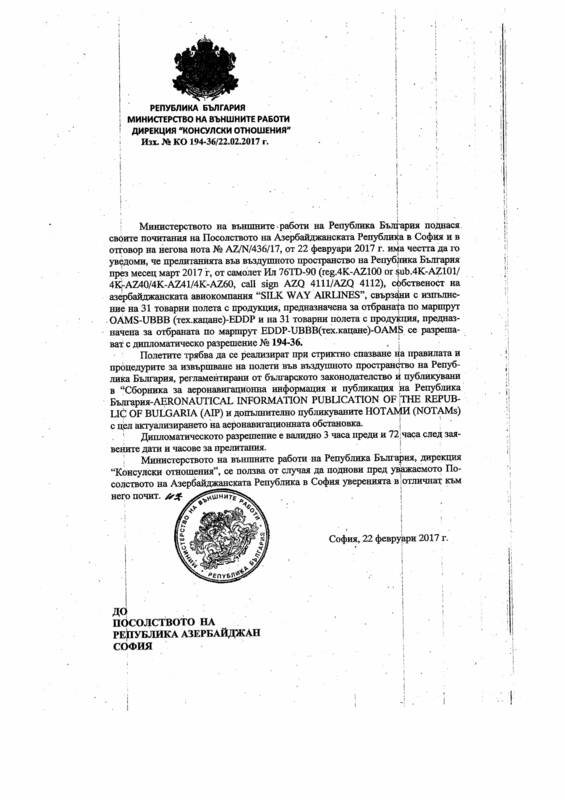 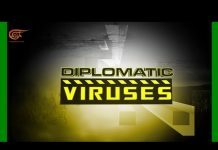 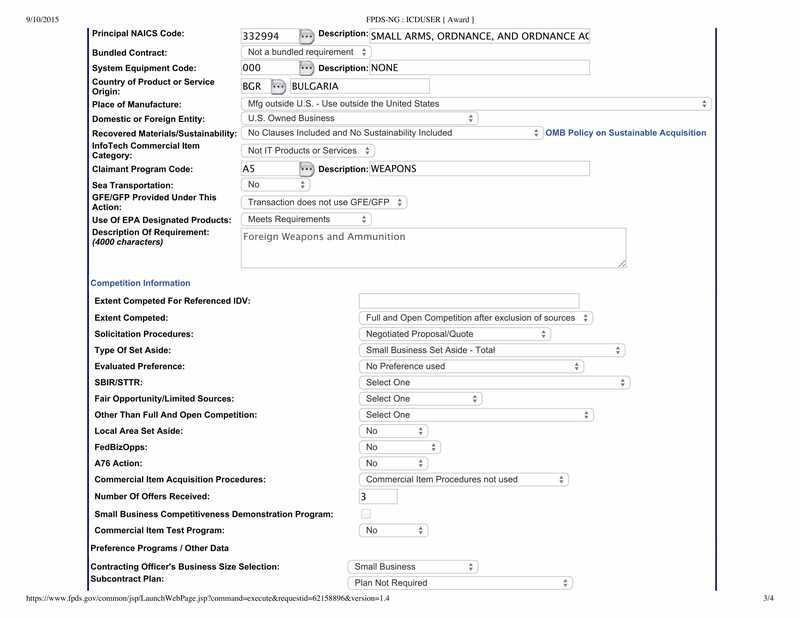 The US Embassy to Bulgaria then released a statement announcing that the U.S. government contractors were working on a U.S. military program to train and equip moderate rebels in Syria. 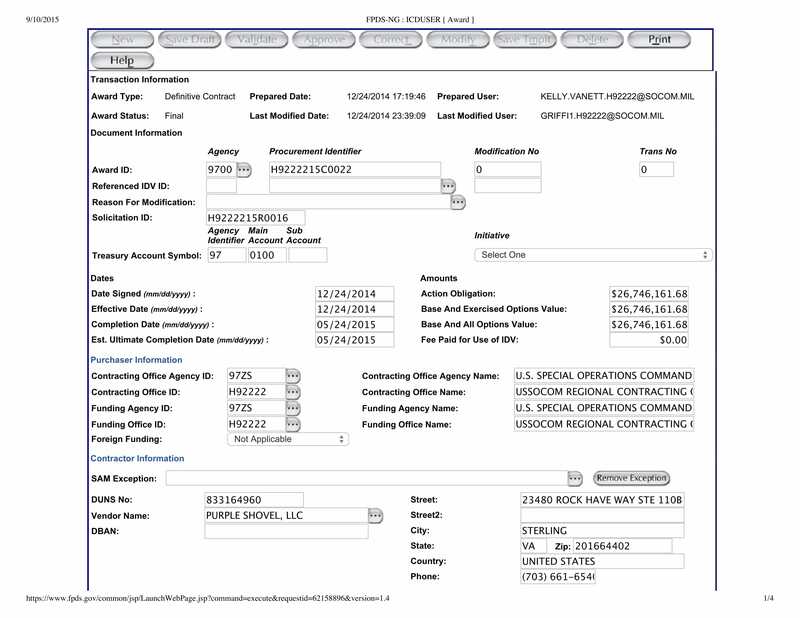 Which resulted in the U.S. 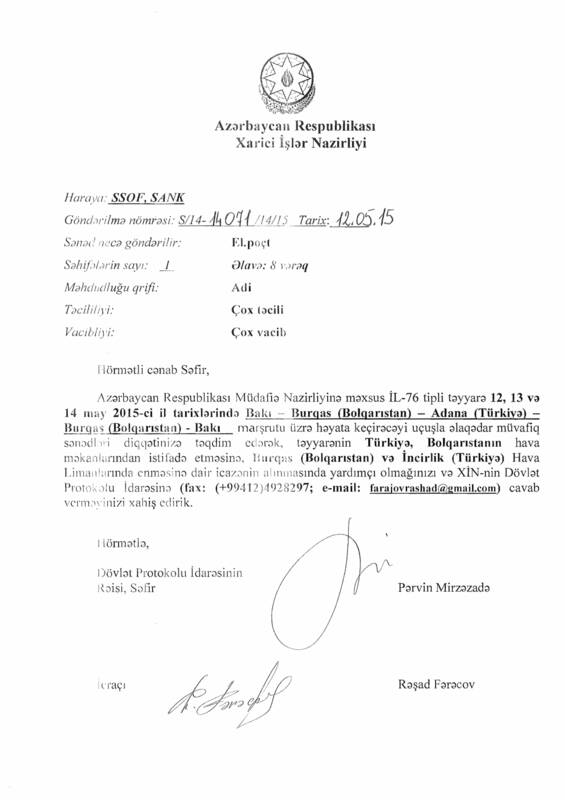 Ambassador in Sofia to be immediately withdrawn from her post. 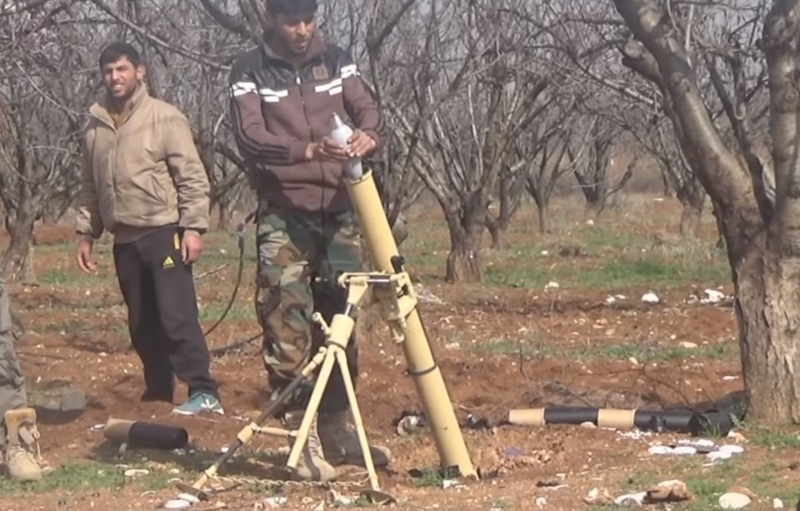 The very same weapons as those supplied by Purple Shovel were not used by moderate rebels in Syria. 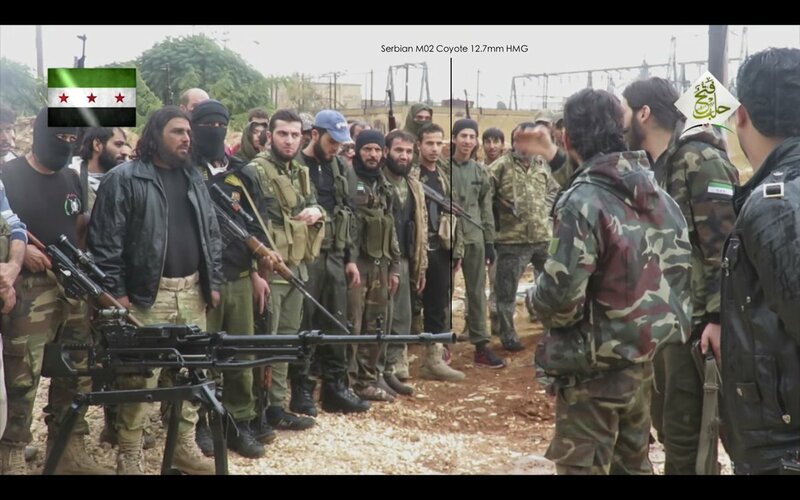 In December of 2016 while reporting on the battle of Aleppo as a correspondent for Bulgarian media I found and filmed 9 underground warehouses full of heavy weapons with Bulgaria as their country of origin. 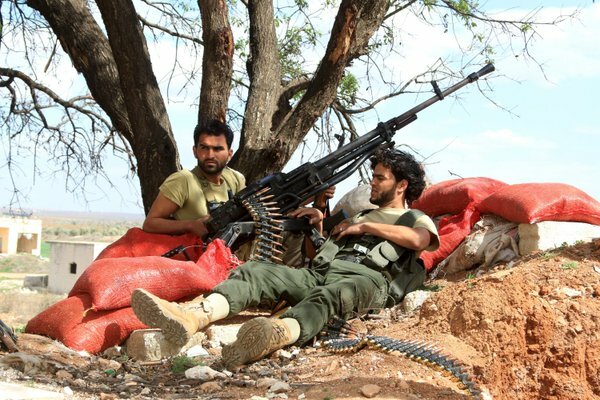 They were used by Al Nusra Front (Al Qaeda affiliate in Syria designated as a terrorist organization by the UN). 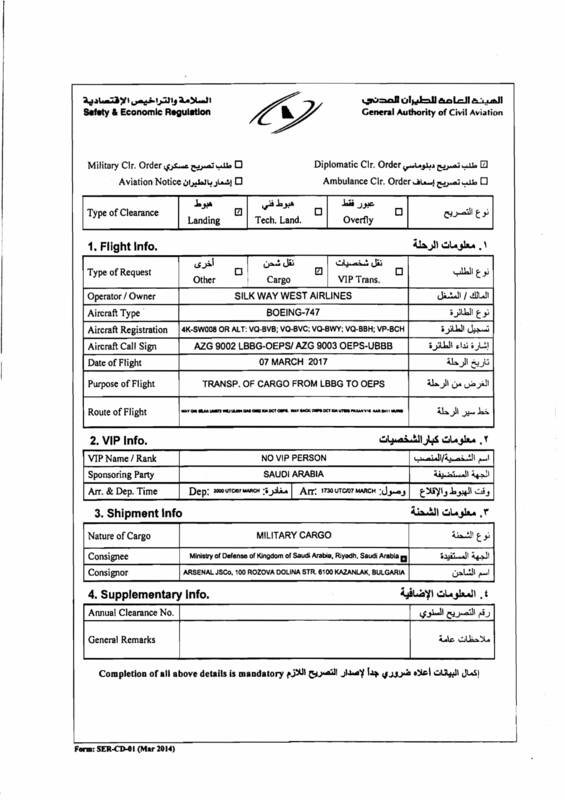 The Kingdom does not buy those weapons for itself, as the Saudi army uses only western weapons and those weapons are not compatible with its military standard. 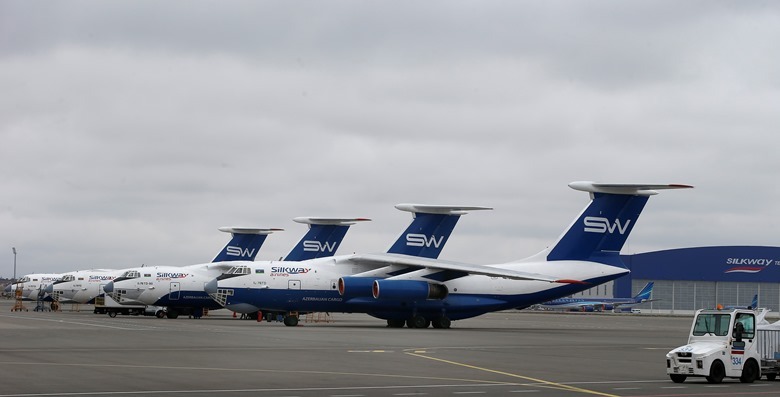 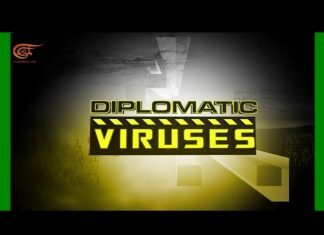 Therefore, the weapons transported on diplomatic flights end up in the hands of the terrorist militants in Syria and Yemen that Saudi Arabia officially admits supporting. 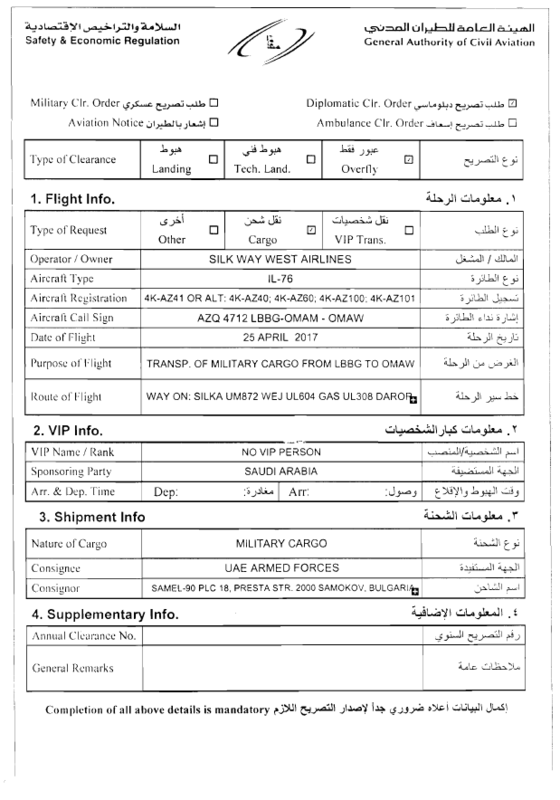 The Arab Kingdom also distributes military cargo to South Africa – a region plagued by wars over the control of the wealth in gold and diamonds found in African countries. 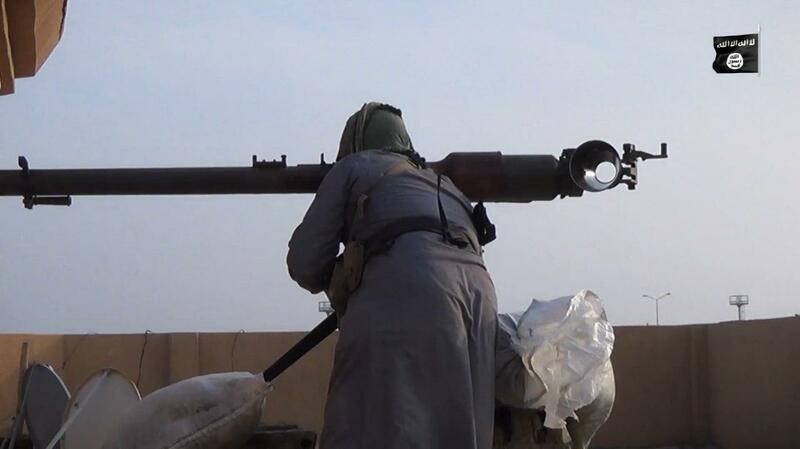 An Islamic State terrorist fires SPG-9 in a propaganda video posted online by the terrorist group. 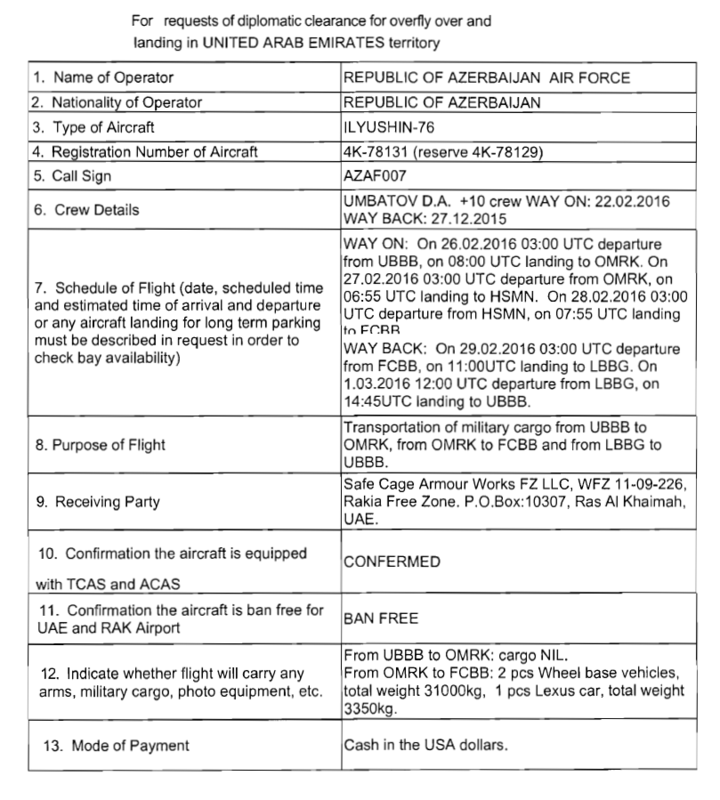 On 5 March 2016, an Azerbaijan Air Force aircraft carried 1700 pcs. 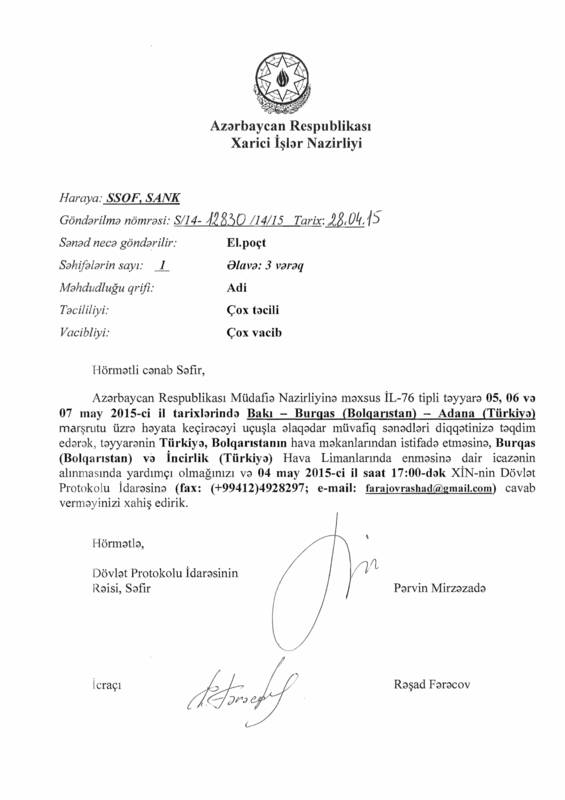 RPG-7 (consignor: Ministry of Defense of Azerbaijan) and 2500 pcs. 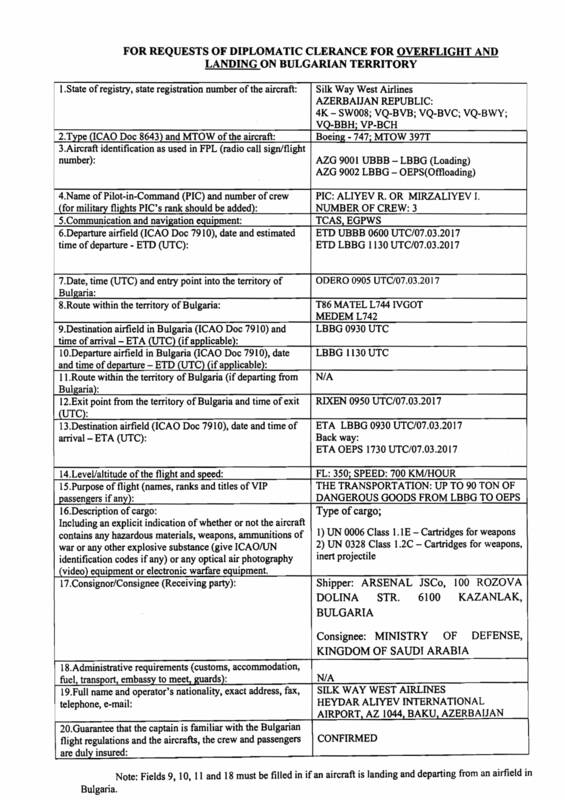 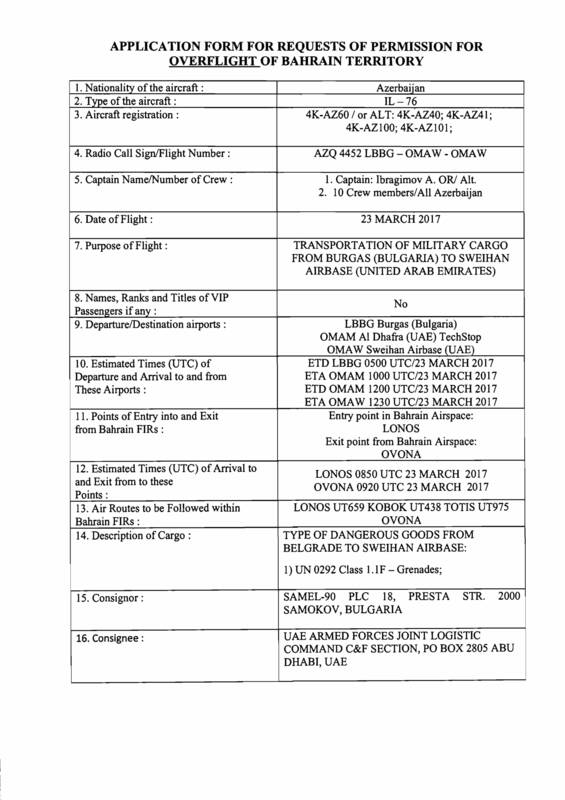 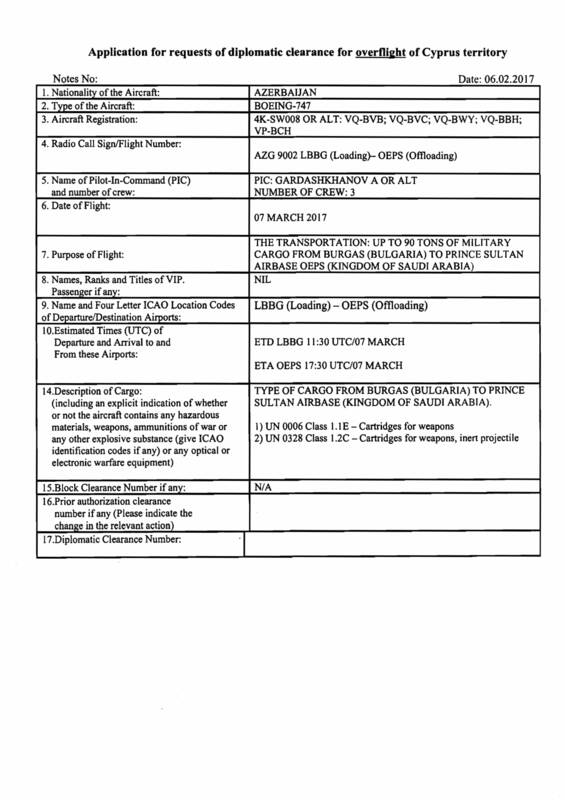 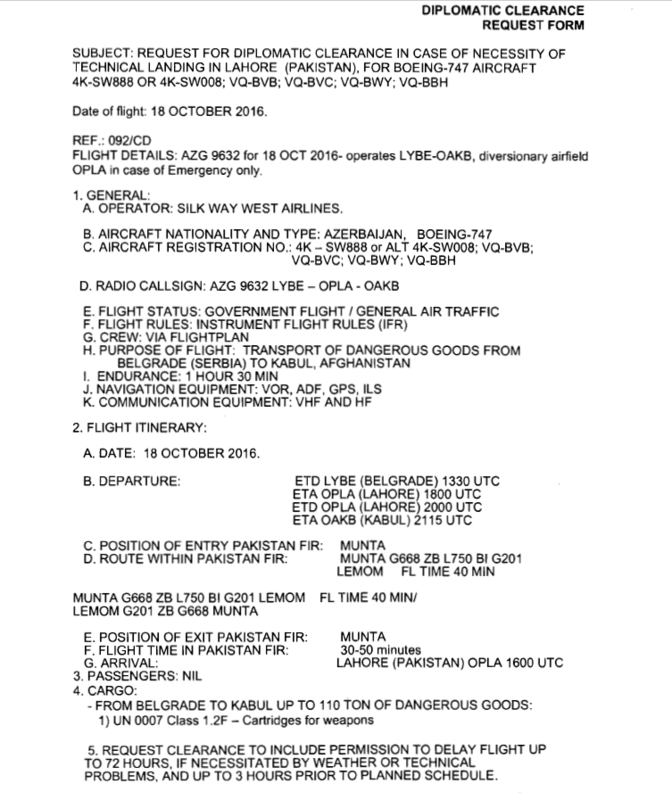 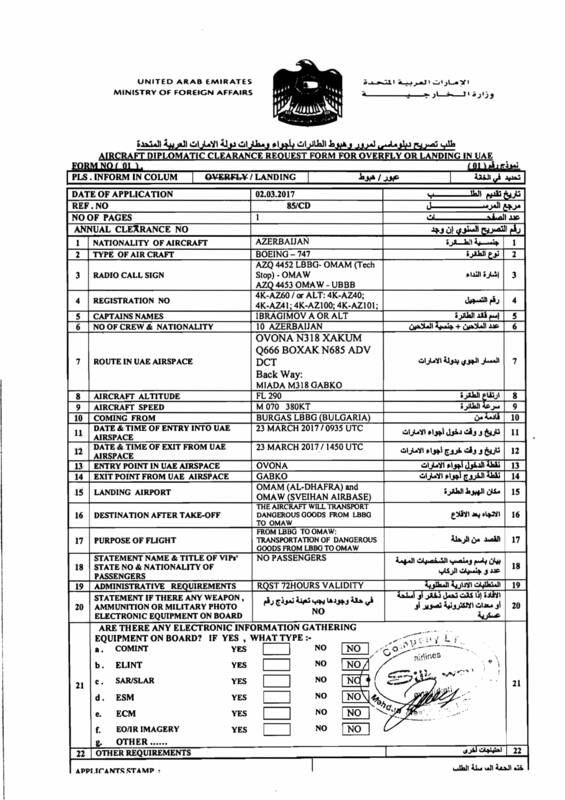 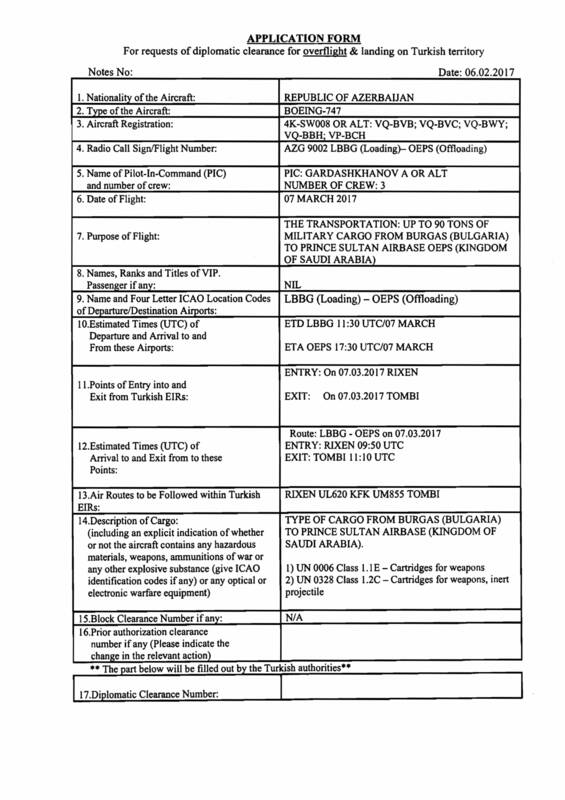 PG-7VM (consignor: Transmobilе Ltd., Bulgaria) for the Defense Ministry of Saudi Arabia. 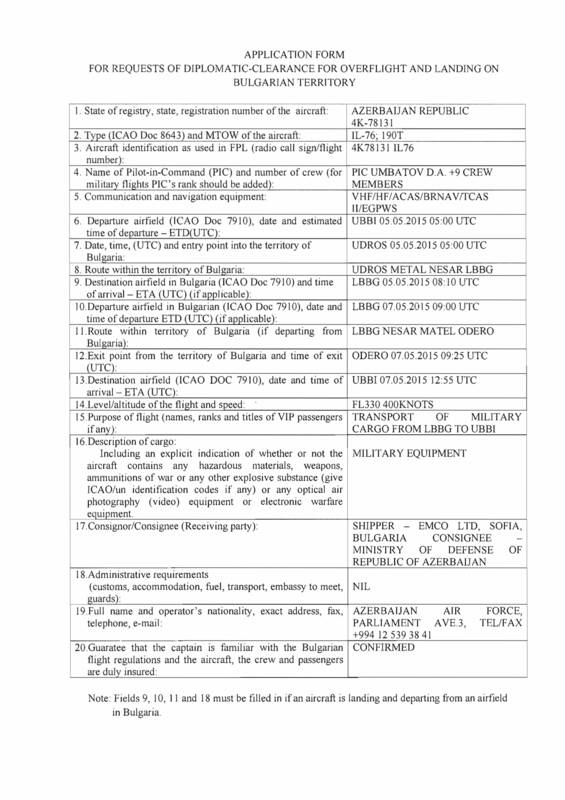 Diplomatic flights from Burgas Airport to Prince Sultan Airport on 18 and 28 February 2017 each carried a further 5080 psc. 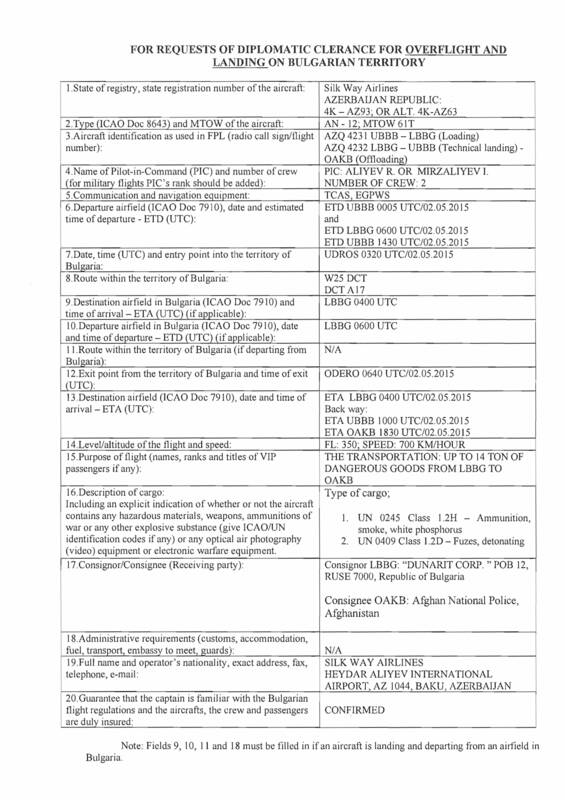 40 mm PG-7V for RPG-7 and 24 978 psc. 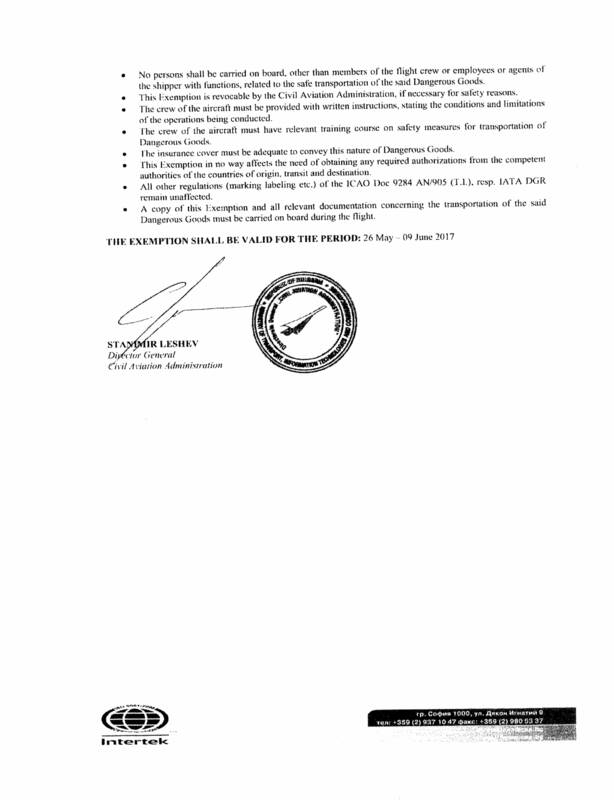 RGD-5. 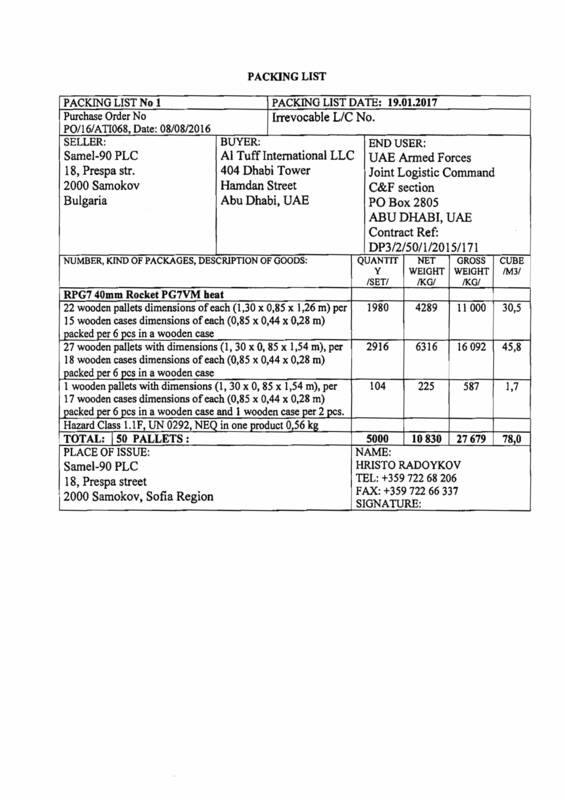 The weapons were exported by Transmobile, Bulgaria to the Ministry of Defense of Saudi Arabia. 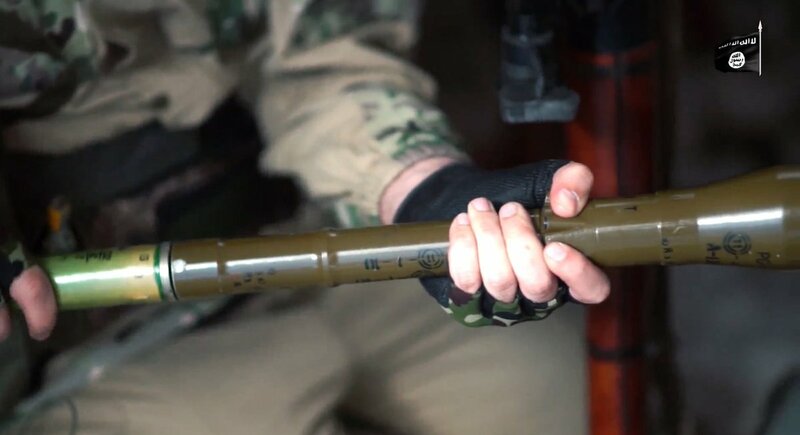 Such munitions and RPG-7 originating in Bulgaria can often be seen in videos filmed and posted by the Islamic State on their propaganda channels. 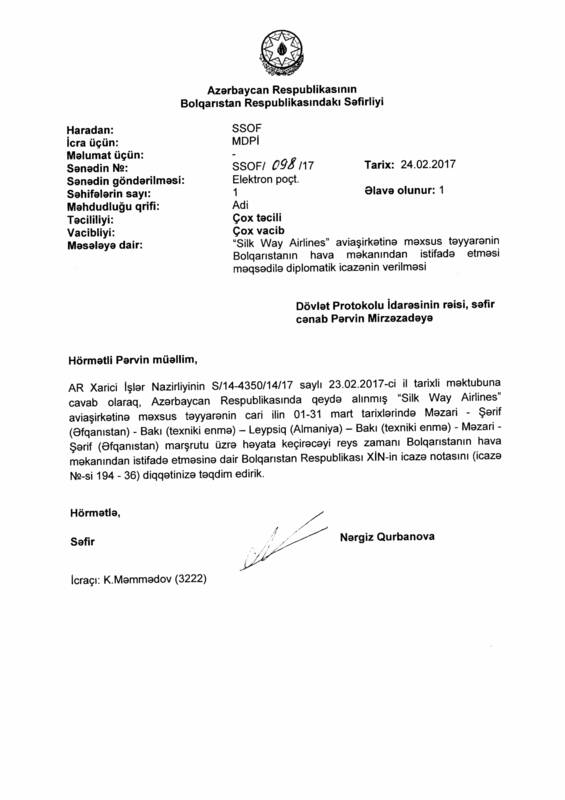 Thanks for this very interesting Information, Good Research !